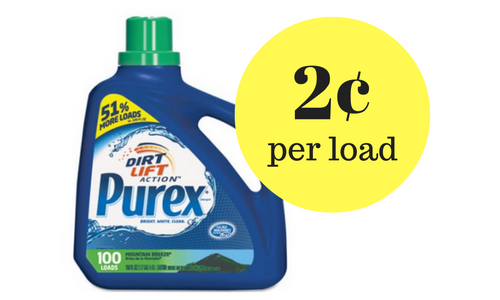 If you are running low on detergent and ready to stock up for a while, head to Target this week for a great deal on Purex detergent. You can get detergent for as low as $1.96 each or 2¢ per load! These are the really large bottles, so they will last a long time.